What I enjoy most about hosting house concerts is meeting artists that I’ve had email contact with for years but have never met face-to-face. 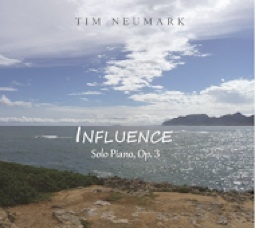 One such artist is Tim Neumark, who will be in Florence for his first concert here on August 23rd with fellow Whisperings pianist/composer Neil Patton. Tim released his first two albums - Biography and Christmas - in 2007, and has released three more over the past several years - Storm most recently. 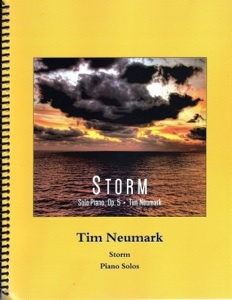 I’ve been working regularly with Tim to get his sheet music ready for release, so we’ve had a lot of contact - especially the past few years. I honestly thought we had done an interview a year or so ago, so this is long overdue. 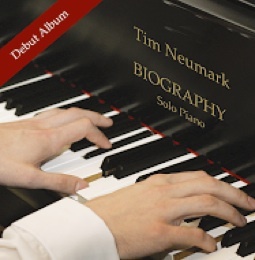 I hope you’ll enjoy getting better-acquainted with Tim Neumark! KP: Hey Tim! We’re finally going to meet later in August! It seems like I’ve known you for years. Well, I have through your music! Will this be your first time in Oregon? TN: I think I've been to Oregon once when I used to travel all the time with a day job. But I've never been to the coast so I'm looking forward to seeing it! All of your musician guests post beautiful pictures on Facebook. It's definitely something I want to see in person! Click on album covers to read Kathy's reviews. KP: It’s breathtaking, alright! It will be fun to show you around. Your newest album, Storm, took you in some different musical directions from your previous albums. Let’s talk about that. TN: I started Storm with the idea that I wanted to write a darker, more minor-key album. With an album like that, I think I really needed a theme to tie things together, rather than to just have one minor track after another. I chose the idea of a personal emotional storm for someone — death, divorce, or other major disappointment — because it’s something that’s relatable to all. The idea of a storm also made the story a bit allegorical, giving me just enough artistic freedom to fill in any missing parts the way I wanted. At least one of the tracks is deeply personal, most of them contain at least a little bit of personal experience, but overall the tracks weren't meant to be about me. These tracks are for anyone with those experiences. I've been releasing tracks with accompanying sheet music for a couple of years now -- thanks very much to you! -- and I really think individual tracks are the new expectation. But with Storm, the idea was to create a single project that’s meant to be experienced from the first track to the last, while also providing tracks that are memorable enough to stand alone. 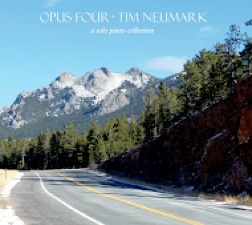 KP: Your 2013 release, Opus Four, was nominated as Classical Album of the Year by SoloPiano.com. I didn’t think you were old enough to be “classic”! Do you know what the criteria was for that category? I’m just curious. TN: I really wasn't expecting that nomination! I'm very grateful for it. People have always told me that my music has a "classical" flair to it, and that makes sense because I'm constantly listening to classical music. 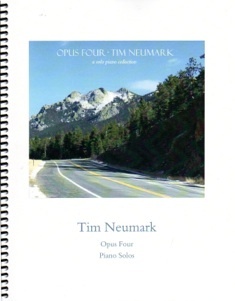 There were a few pieces on Opus Four that were definitely classical sounding: “Persian Rhapsody,” “Waltz in F Minor,” “Adagio Sostenuto.” I guess enough of the other tracks had a "classical" sound too. KP: I understand you have a second child coming soon. Is that inspiring new music? TN: Not yet, but I am sure it will eventually. I already have at least one track title created for the idea of this growing family, so I'm sure I'll put that to music as soon as I can. KP: Do you have any direction in mind for your next project? TN: Absolutely! I've actually had an idea for quite a while. I even have the album title and track titles worked out. It's just a matter of getting to the piano and creating. I will say that there should be some calmer tracks than Storm, and maybe a little more ambiance. At least this is the direction I'm thinking about right now. As usual, I'll release the tracks as I create them, hopefully month-by-month or quicker. KP: I think it’s really interesting that you usually start the process by naming the album and then working on the music. Have you always worked that way? TN: Now that I think about it, yes! Even going back to my first album, Biography -- and I composed all of those tracks many years before that album was released -- I took certain life events and thought of a title, and eventually put that title to music. "Red Rain" is a piece that I had named about three years before actually writing it. Opus Four has a few tracks where the music came first, and some of those titles are a bit more generic because of it. Even so, a name like “Adagio Sostenuto” hasn't scared people off, and it's probably one of the two most popular tracks on that album. KP: How do you go about writing a new piece? TN: Oh, I would say that like most composers, I can work on a piece for a couple years or I can go from start to finish in 10 minutes. There's not necessarily a formula for it. I am definitely more of a melody-driven composer, but there are certainly some "mood songs" that I've written where the melody isn't necessarily as prominent. One thing that I do with most pieces at some point is actually list out the sections I've composed, so the piece can have a reasonable shape. For example, I'll be in the middle of composing and realize I have A, B, and C sections so far - maybe I should make this ABCBA, or maybe I should move things around to do ABABCA. I'm very conscious of creating songs that make sense structurally. I don't like hearing pieces that make me say "why are we here now? how did the composer get there?" I've made no secret that Dvorak is my favorite composer, and he's quite the master at getting from here to there, really leading the listener along. KP: That’s really interesting since Dvorak didn’t write much piano music! Okay, let’s find out more about your background. Where were you born and where did you grow up? KP: I remember that one! Are any other members of your family musicians? TN: Not specifically, but there are people who are musical. My mother had some piano lessons when she was little, and she's been playing bells in a bell choir for a number of years. Looking further back, there are some musicians who contributed to my genes. My mother's grandmother owned a piano, and my grandmother said that was a very rare thing at the time, especially to have a piano in a farm house. She used play by ear only -- something that I do -- and maybe I picked that up from her. On my father's side, I'm actually related to the great American pianist Artur Rubinstein. We are fourth cousins, three times removed, but nonetheless related. I was told you can find some references to "Neumark" in his autobiography. KP: Interesting! How old were you when you started playing the piano? TN: We did not have a piano in my house growing up, but I was always into music. I can remember listening to the radio all the time -- usually pop/rock from the popular stations -- and I can even remember what that first radio looked like. Any time I was around a piano, I always wanted to play it, and I can remember going into electronics stores and trying to play popular songs on their little keyboards by ear. But for me, growing up, it was all about sports. I have not had piano lessons. KP: When did you get a piano? Did you play other instruments? 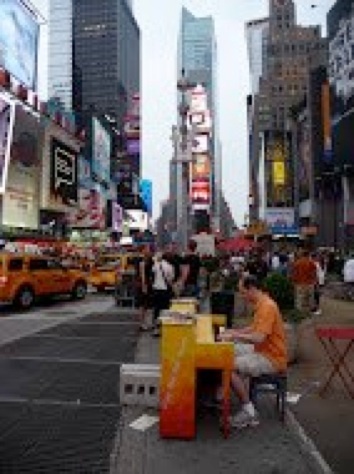 Playing at a "Play Me I'm Yours" piano in Times Square. TN: I played trombone in our elementary school band for a couple years, but that's really the extent of any formal music training. Even then, I wasn't much of a sight-reader. I'd figure out what the tune was and remember how to play it. As for a piano, I mentioned playing keyboards in stores. When I was about 10 or 11, I asked my parents to buy me one, but they weren't convinced it was something I'd want to do long-term. Later, when I was about 15 or 16, I convinced them I needed one and got a 61-key keyboard for Christmas. That's when I started figuring things out. This keyboard is still in my parents' house, and I play it every time I visit. I figured out that "Joy to the World" could be played by all the white keys if I started on a "C," and based on that, I figured out all the scales by starting on a note and determining how to play the “Joy to the World” melody. KP: How old were you when you started improvising? TN: From the time I wanted to play piano, I wanted to write my own music. Soon after I got that keyboard, I learned how to play some basic classical pieces like small minuets and that helped me to figure some stuff out. But I mostly played some New Age pieces by ear with the help of sheet music when I couldn't quite pick out the notes. Yanni’s and David Lanz’s pieces were very educational for me at that time. KP: How old were you when you wrote your first song? TN: I would guess I was about 18 or 19. The first song I actually put together and declared "a song" was the piece that I later named “Beginnings” and put on my first album, Biography. See, not all pieces started with a title! KP: I see! <laughing> Were you a music major in college? TN: No. 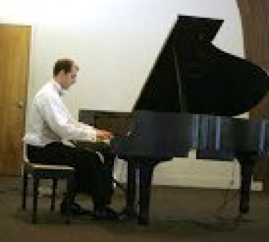 I was basically in college to play baseball, but this is when I really started to play more and more piano. KP: I had forgotten about that! Were you planning a career as a professional athlete? If so, what changed your direction? TN: Well all my life I focused on baseball, and I worked incredibly hard to get where I got. I was even drafted one year. Out of high school, I decided to attend a nationally-ranked junior college that was close to my house -- we went to the JUCO World Series both years I was there -- but let's just say I picked the wrong coach to play for in my junior and senior years. Some of the emotion of Storm comes from this poor decision. KP: When did you record your first album? TN: In the summer of 2005, I made an offhand comment to my then-girlfriend Monica that all I'd really like is for someone to buy me some recording studio time. When Christmas rolled around that year, my then-fiancée Monica had indeed bought me some recording studio time! I had forgotten all about that comment. After marrying, we spent a number of weekends of our first year working on the album in the studio. Biography was released in 2007, but most of the music for it was written between 1998 and 2003. I had saved a recording of each song with a very poor-quality hand-held dictation-like device, just so I could learn the songs again later for an album. I was so worried that I would lose those recordings and lose those ideas forever, so getting things recorded professionally and into the world was a big priority for me. Almost every one of those tracks has been extremely popular and still get lots of play on radio stations. This is why I usually tell people that "if you like my music, you can thank Monica." KP: Great story! Thanks, Monica!!! When did you become a Whisperings Artist? TN: My first album was accepted and my music has been on Whisperings ever since! I was sure my sound was similar to other artists who were on the broadcast, but I really didn't know if I would be accepted or not. Thankfully I was, and the people I've met from that group have been a great help to me both professionally and personally. 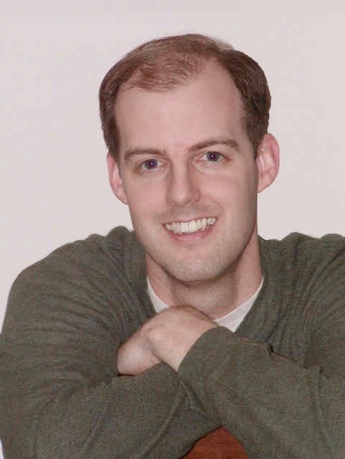 In fact, I reached out to Scott D. Davis way back in 2000 -- I found him via Alta Vista or some pre-Google search engine, before Whisperings existed -- to ask some questions about his music and about recording studios. He calls me his "first internet fan." When it came time for me to release my album, I needed some advice about legally releasing a cover song, so I reached out to him again and said "remember me from 2000?" I actually thanked him in the liner notes, and I hadn't even met him in-person yet! KP: Scott’s great! I met him at the second and third Whisperings concerts, which were at my house in Hercules, CA in July 2004 - just over ten years ago! He’s played several house concerts that I’ve hosted, and I always really look forward to seeing him again! Do you perform in concerts very often? TN: No, but I'm always willing to do a show! Small venues, house concerts, churches, these are all great places for this type of music. In every email newsletter I send out, I make sure to let people know I'll perform if they want me to come! I'm actually doing a show in Montana right after the show at your house. A fan helped me book a church in Billings after she read about my desire to play from a newsletter. So a note to all you piano fans: if you ask, I'll probably say yes! Click the songbook covers to read Kathy's reviews. KP: I think you must have most of your music in sheet music form now. Have we missed anything? TN: All of my tracks are available individually as PDFs, and I also have PDF songbooks for each album. Biography, Opus Four, and Storm have physical songbooks, and I'm hoping to get Influence completed as a physical book in the coming months. I should backtrack for a second: the sheet music for “Diamond Music” is still not available because of copyright restrictions, much to my chagrin and to the disappointment of hundreds of fans. It would take me too much time to transcribe my pieces, so I have John Zechiel do the initial transcription. I don't sight-read, but I can read music, so I make tweaks to anything he may have overlooked. And then I send it to you for additional proofing, and after all that, I think we have a very professional-looking piece of music! I really can't thank you enough for how much that means to me. KP: You’re very welcome, Tim! I always really enjoy working on your sheet music! I honestly believe that sheet music is what will live on for a very long time to come while the recording methods will continue to change and evolve, with CDs and MP3s eventually becoming obsolete. We still have very usable sheet music that is several centuries old, so I like helping to make the sheet music be as close to the recordings as possible. Who or what are your biggest musical influences and favorite composers? TN: In classical music, Beethoven and Dvorak are my favorites, followed by Mendelssohn and Tchaikovsky. I really like the emotion of the Romantic era. 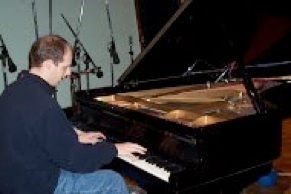 For piano, I was very much into the early days of the Narada label, so Michael Jones, David Lanz, and Kostia were big influences on my style, with some Yanni and John Tesh in there, too. I never had a favorite rock/pop band, but all of that music has certainly influenced me. I should also mention Ben Folds, who I never heard of until about 2004. Because of watching him play, I was finally able to develop a “Carol of the Bells” rendition that had the sound I wanted. I didn't know it was possible to play the piano with your forearm until I found out about him! 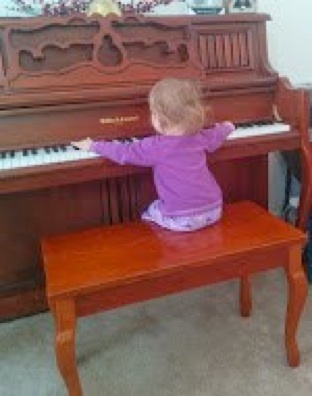 KP: The piano teacher in me cringes just a little, but whatever works! What inspired you to start listening to classical music? TN: There have been several. My wife and I still talk about the excitement of opening up the first box of CDs we got for my first album. And then having people I don't know listen to it and enjoy it -- your initial review, being accepted to Whisperings -- wow! And now that I've released five albums, people hear me on Pandora and tweet to me - it's all very gratifying. I think one of the most emotional times for me, a time when I thought, "Wow, my music matters," is when a fan showed me his playlist of music he listens to every day. Every single track was one of my compositions. This just blew me away. To affect someone's life like that is beyond words. KP: No kidding! Is there a particular philosophy that you try to convey in your music? TN: I like to say that I write "beautiful, emotional music that tells a story." Jace Vek once said that "music is a vessel, and what it holds is emotion." I really believe that, and I'd like to think that the emotion in my music is easy to spot, and it's probably one reason why people enjoy it. Notes without emotion aren't really my thing. Storm is a story that I think people can relate to. TN: I've performed with some great artists! Michael Dulin, Greg Maroney, Michele McLaughlin, Chad Lawson, Louis Landon, Joe Bongiorno, Philip Wesley. So many more I could name. It's really great to share a stage with such amazing talent. I think I'd like to do a show with Joseph Akins because the live shows I've seen with him seem like lots of fun! KP: All of those pianists have played here, so now it’s almost your turn! How old is your daughter, Renee? TN: She's turning two in August. She'll be a big sister around early November. KP: What an exciting time for your family! Is Renee showing an interest in music yet? TN: Yes! It's really quite impressive, actually. She can already sing “The Alphabet Song” (“Twinkle Twinkle Little Star,” or one of a number of titles!) recognizably, along with “Frere Jacques” and some others. She even knows my music since I'm practicing all the time, and she'll hum along as I play and even make little conductor-like movements with her arms. KP: That sounds very promising! TN: Whew! That's tough. I'm already very fortunate to have people listen to and appreciate my music. If I had to choose a wish, it would certainly be to end fighting and injustice in the world. If pressed to pick something personal, a self-driving car would be nice! I'll have to wait about 10 years for that one. TN: I took a little break after Storm so I could remaster Influence and give it the sound I want. The remaster is completed and ready (as of July 28). Now that I've revisited that album, I'm going to get started writing more music. My goal is to release at least a track a month as I've done over the past two years, and hopefully to continue with an album every year. I also plan to have one track orchestrated soon, and I want to create a string quartet for another. Of course, personally I'll be the father of two in a couple months, so that's definitely something that's "next" for me! KP: Indeed! Is there anything else you’d like to “talk” about? TN: As always, I'd like to thank Monica and Joe Bongiorno for continuing to help me release more music. Joe helped me set up my home studio and I still send him the finished tracks for mastering at Piano Haven. I really couldn't have released these past three albums without him. And thanks to you also, Kathy! We've been emailing for years about sheet music and CDs, and I'm looking forward to finally seeing you! KP: Me, too! See you soon! 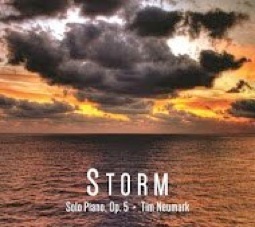 Many thanks to Tim Neumark for taking the time to chat! 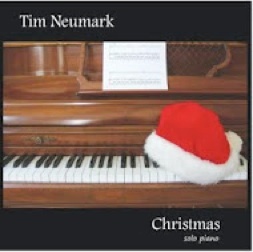 For more information about Tim and his music, be sure to visit his website and his Artist Page here on MainlyPiano.com.